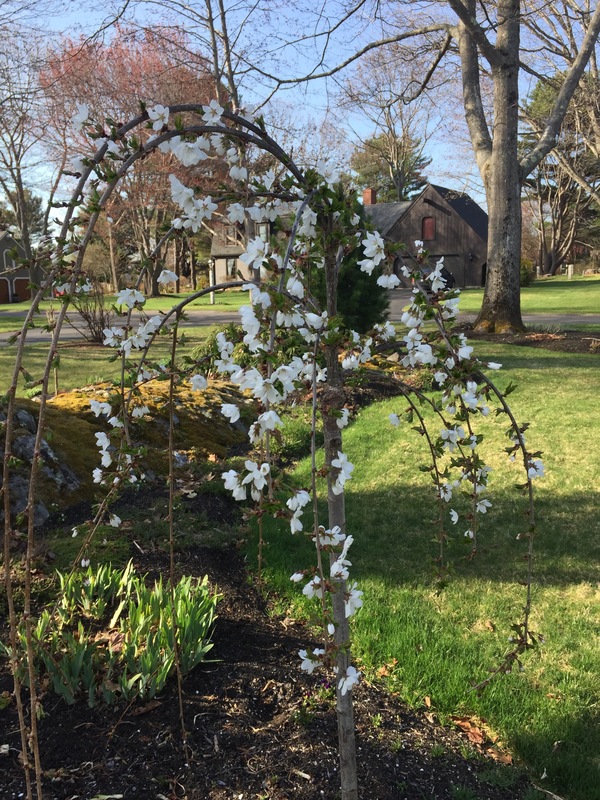 Well Spring has finally arrived here in Biddeford, ME. It was a long cold winter and at times we wondered if it would ever end. Thankfully, as usual the season changed and it is beautiful here now. We have been busy this Spring. We are in the process of redoing our den/”mancave.” New carpet has been installed, walls have been painted and furniture has been ordered. The room is looking good, just waiting for the love seat to be delivered. Chuck and I have treated ourselves to a dinner out. 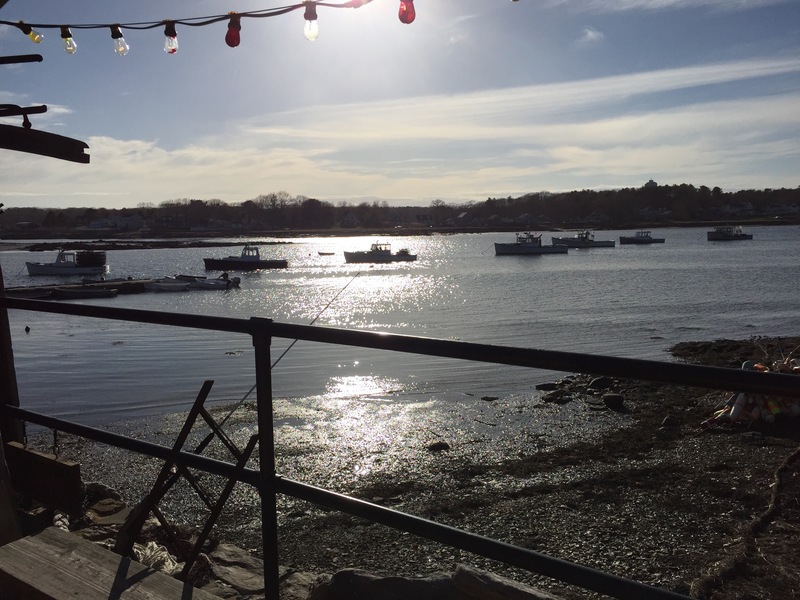 Last week we went to the Ramp in Cape Porpoise. 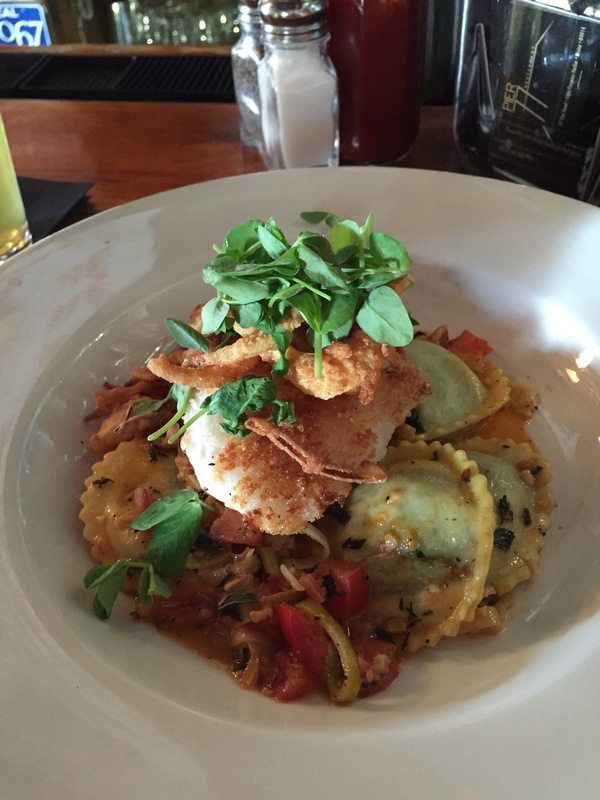 I had a wonderful meal – roasted haddock with spinach raviolis. If you have the chance to have a meal there you should, it was wonderful – the view is amazing and the food has never disappointed! 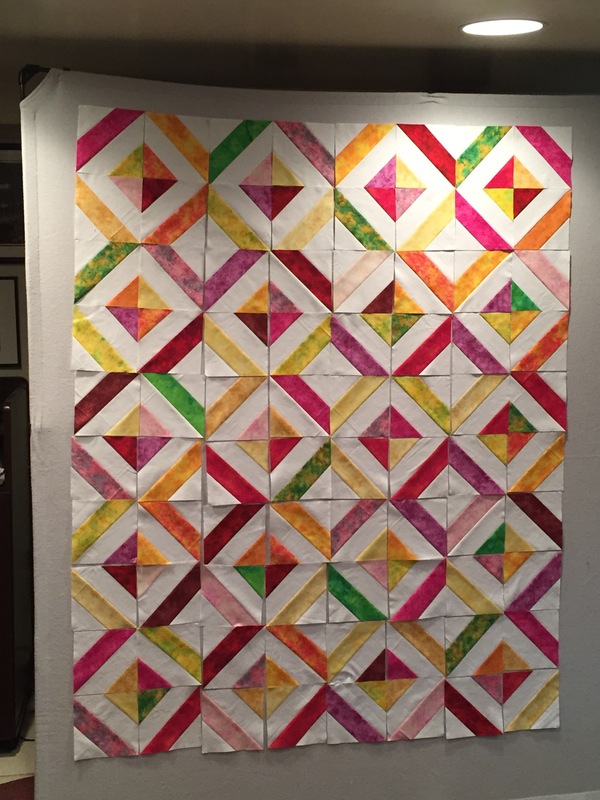 I have been making quilts. Big surprise there! I have finished last years Bonnie Hunter Grand Illusion Mystery quilt. It has been sent off to the Long Arm Quilter, it is much to big for me to quilt on my sewing machine. Pictures of that will follow as soon as I get it back. Here is sneak peek. 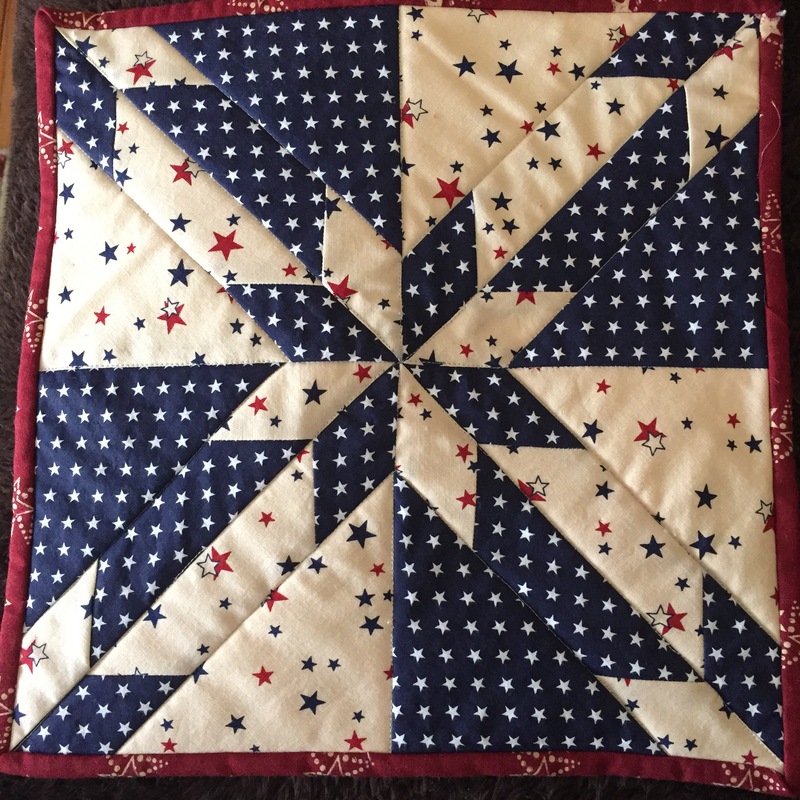 I have also been working on Red, White and Blue blocks for the Veteran’s quilts that our guild makes. One of our members delivered 2 of them to wounded veterans in San Antonio, TX last month. The quilts were given to 2 young woman who were injured in the war – both had lost limbs. So sad for them and so appreciative of their sacrifices and service to our country. 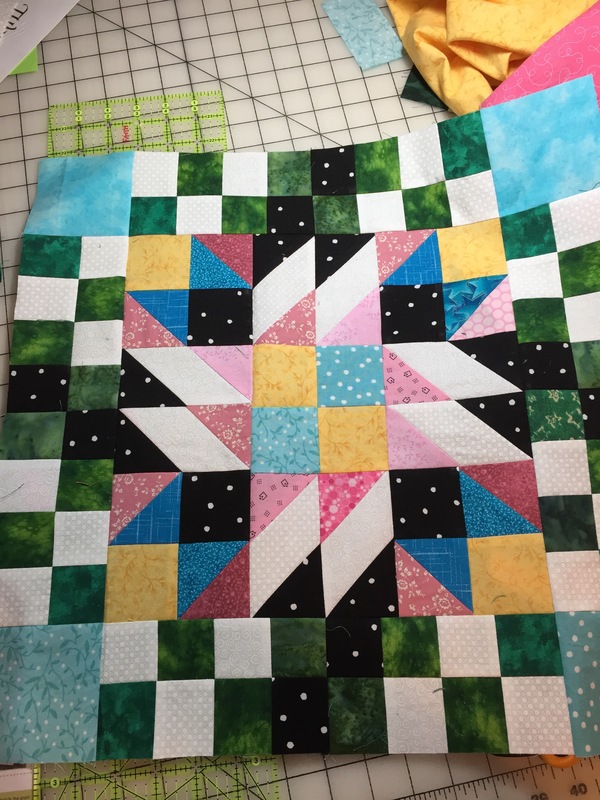 The other quilt that I have been working on is a gift. I will show you a picture only because the recipient doesn’t have any idea that I am making them a quilt. So that is some of what has been keeping me busy. 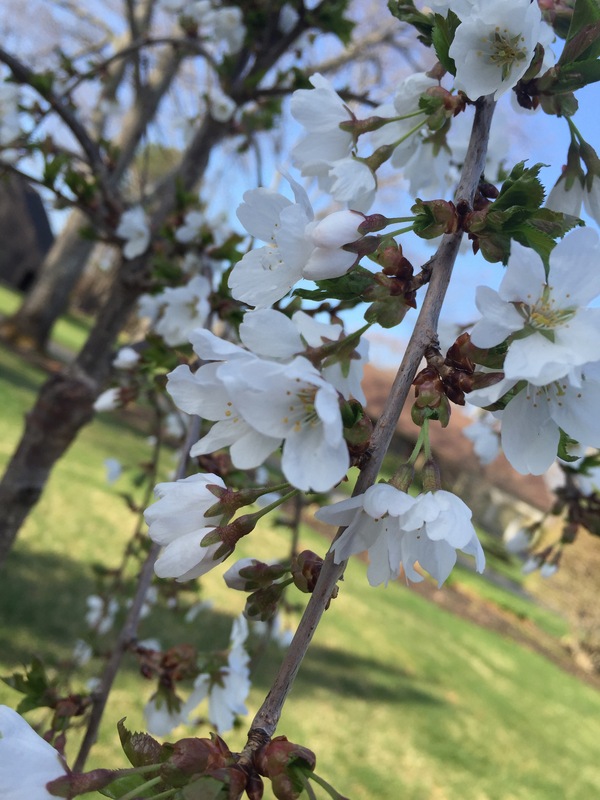 I will leave you with some more pictures of my weeping cherry tree. 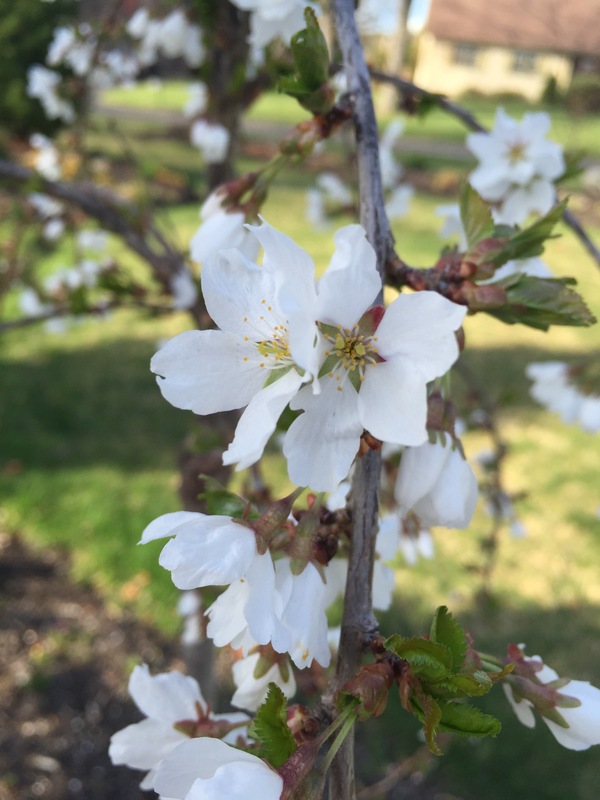 It is the first tree to bloom so far this Spring and it makes me very happy! ← Oh my what a month February has been….